The Sx2 Dongle is an approved tuning tool for Im.. The Sx2 Dongle is an approved tuning tool for Impulse Gen 1 engines. Drive twice as fast with full engine assistance. This version comes with a cablekit especially for the (old) Impulse 1 engine - if you use the newer Impulse Gen 2 respectively 2.0 motor, please choose the other version. 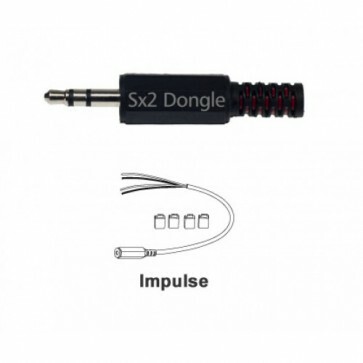 The Sx2 Dongle shifts the speed limitation of your Impulse system from 25 km/h to 50 km/h (≈ 31 mph). All Impulse electric bicycle assistance levels are retained. The Sx2 Dongle generates no changes in the motor electronics. Just plug it in and start! 100% Outdoor suitable & robust thanks to its encapsulated electronics. Cancel the tuning whenever you want: Simply remove the Dongle and your Impulse system is back in its original condition with engine support til 25 km/h. Now you can drive legally on public roads again. The device is theft-proof due to its pluggable design (simply pull it off and take it with you). 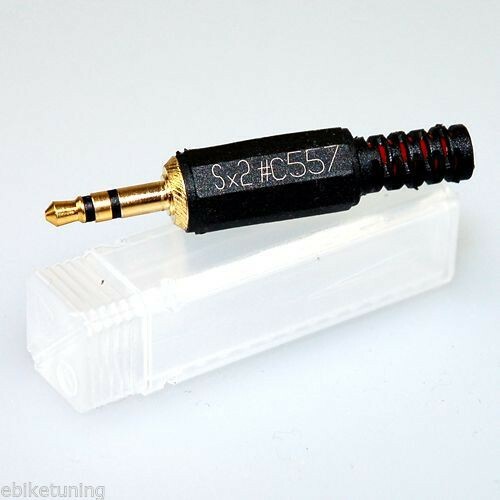 If you want to make your Impulse electric bike faster in an easy way, you should try out the Sx2 Tuning-Dongle. This device will double the engine assistance of your Impulse system to 50 km/h. All engine assistance levels will be retained, because the Sx2 Dongle does not get activated before you reach a speed between 13 km/h and 25 km/h. Due to the pluggable design the Sx2 Tuning Dongle can be pulled off within 2 seconds - after that, the tuning is cancelled and you can use your electric bike legally on public roads again. The Sx2 Tuning Dongle for Impulse electric bicycles is waterproof encapsulated and requires no battery. Furthermore, the device is 100% outdoor suitable and permanent maintenance free. Use the Sx2 Tuning Dongle for Impulse electric bikes at your own risk.